Managing chemicals and the disposal of those chemicals can be costly not to mention time consuming, especially for school districts with limited budgets (that’s every school district). One way to take control of your science lab disposal costs it to understand what is truly hazardous waste thereby requiring hazardous waste disposal. When you don’t have to dispose of items as a hazardous material, then you not only save money on disposal costs, but also on staff time and red bag supplies. a pathogen, especially one used in or produced by biological research. the health risk posed by the possible release of such a pathogen into the environment. In simple terms it can be a virus, agent, animal (insect too) or plant contaminated by a chemical, bacteria, etc. that is biological in nature and hazardous to humans or the environment. In k-12 science terms, this typically refers to bloodborne pathogens, other potentially infectious materials and specimens preserved in formaldehyde or formalin. Biological waste can be either hazardous or non-hazardous in nature. Depending on the type that you are dealing with will determine how you dispose of it. And therein lies the problem. Most of us don’t know if the biological waste is hazardous or non-hazardous, so we red bag (biohazardous) all of the specimens and drive up the cost of disposal. Knowing this difference can save us thousands of dollars on disposal costs. Warning: Prior to disposing of any specimen, you should check with local, State and Federal regulations regarding the disposal process. Specimens from companies like Ward Science (types of preservatives) have taken steps to remove chemicals from the specimen process. This allows for most of their specimens to be disposed of directly in regular waste streams (garbage can) without the worry of environmental damage. This is a great tool for waste minimization. In cases where specimens were preserved in a hazardous chemical that is not infectious or otherwise hazardous to humans, occasionally these can be denatured on-site and disposed of in regular garbage. However, the site should be equipped with a closed-waste system to ensure that any hazardous chemical does not drain into the sewer or stormwater systems, especially those that drain directly to the ocean. 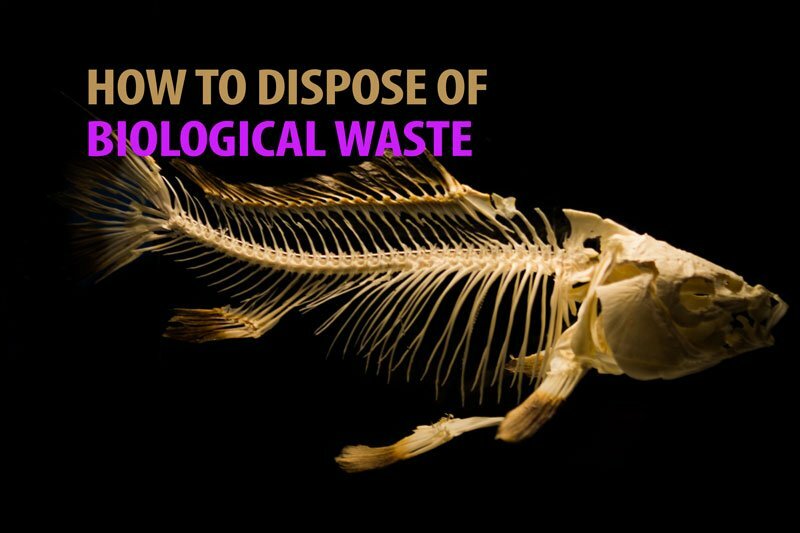 It is important to double bag any of these specimens which can be legally disposed of in regular waste streams, because when they rot, the smell can be overwhelming to students and teachers on campus.